Venice is famous for its magnificent national holidays. Every year Carnival of Venice alone attracts thousands of enthusiastic visitors from all over the world. The carnival was held in 1296 for the first time and lasted six weeks. The holiday was so lush and extravaganza that rumors about it spread quickly over all the nearby states. In the beginning of the 14th century the question of class struggle was among the most important ones not only in Venice, but also in other European cities. A unique holiday, during which people hid their faces behind colorful masks made it possible to forget about the class struggle. During the celebration all people had fun on equal terms, and usual social rules disappeared along with everyday traditions. During its century long history the carnival has changed a lot, and so today the holiday is mostly organized for tourists. Within several days the streets and squares of the city become the location of performances of acrobats, theater artists, and musicians. However, the main symbol of the holiday– a colorful mask - remains unchanged. As a rule, masks are the most popular souvenirs bought by tourists. The most famous and anticipated event is the Venice Carnival. Millions of tourists come here to witness this grand spectacle and even participate in it. In the 18th century, the carnival started in October and lasted for six months. People put on masks and dissolved in their own vices. Participants enjoyed variously costumed processions, concerts, and magnificent ball -masquerades. Every rich man tried to organize the chicest celebration to show his greatness to everyone. Nowadays, the Venice Carnival takes place annually, at the end of February. During ten days, the city is filled with people wearing expensive masks and exquisite costumes. Everywhere is fun, music, street parties, concerts, fireworks, rivers of wine. If you are coming to Venice in May, make sure to visit a beautiful regatta Vogalonga. Do you want to participate? No problem, but only if you are over 16 years. Hundreds of boats gather near the Doge's Palace, where the regatta starts. Competitors must sail 30 kilometers along the canals of Venice and finish on the starting point. The winner of regatta receives the medal and commemorative souvenirs. On May 11, the religious festival of the Ascension takes place. Do your best to witness a very beautiful ceremony "Wedding with the Sea" held along the canals. In July, you can become a participant of an interesting night holiday - Redentore. Costumed processions and numerous regattas which are lighted at midnight by a delightful firework display. Watching numerous colorful fireworks in Venice may seem a beautiful dream. But on November 21, this dream comes true within the framework of the Venice Salute Festival. This event symbolizes cleaning the city from the ferocious plague epidemic. Between the Grand Canal and the Church of Santa Maria della Salute, you will find an improvised bridge of boats, along which pilgrims can go to church for a prayer. 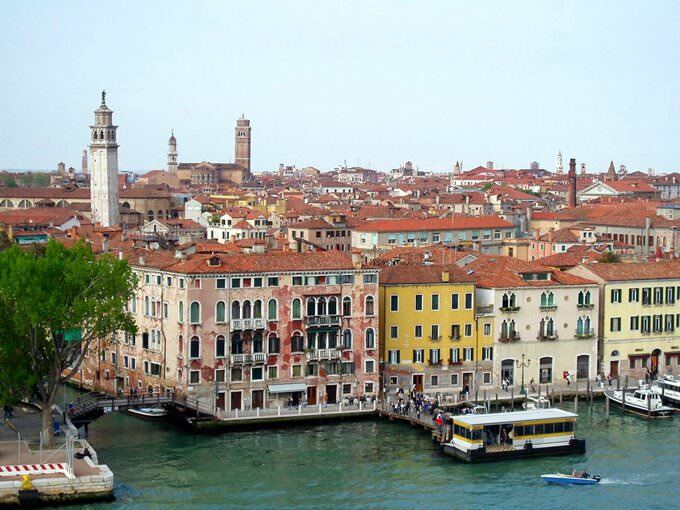 In Venice, one of the world's greatest international art exhibition takes place - the Venice Biennale. The main venue is the park "Gardens Biennale", where you will see the pavilions from the leading countries. During the Biennale, visitors will enjoy various cultural events: festivals of cinema and art, theater, and music performances. This guide to traditions and festivals in Venice is protected by the copyright law. You can re-publish this content with mandatory attribution: direct and active hyperlink to www.orangesmile.com. Cityguide on traditions, mentality and lifestyle of people in Venice. Learn the best periods to visit Venice to discover its soul - authentic festivals, events and celebrations. 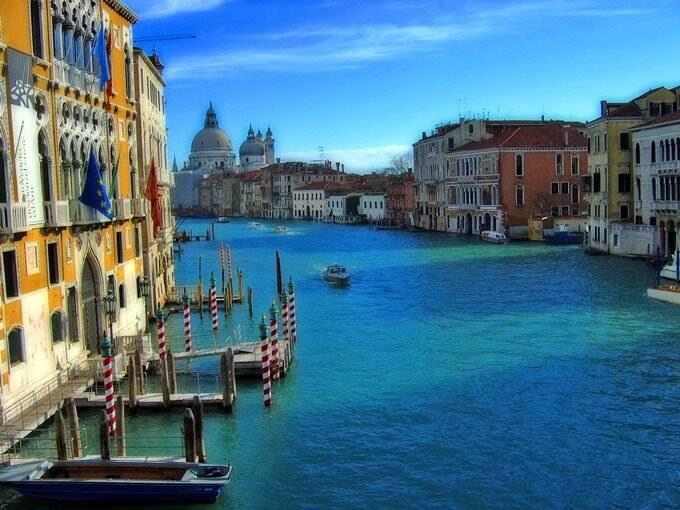 We will also reveal the interesting habits, attitude towards the world and to tourists in Venice.